Following the removal of subsidy on PMS on the 1st day of January, 2012 by the Federal Government of Nigeria and the attendant spontaneous social and political upheavals that greeted the policy, the House of Representatives in an Emergency Session on the 8th of January, 2012 set up an Ad-hoc Committee to verify and determine the actual subsidy requirements and monitor the implementation of the subsidy regime in Nigeria. The Federal Government had informed the nation of its inability to continue to pump endless amount of money into the seemingly bottomless pit that was referred to as petroleum products subsidy. It explained that the annual subsidy payment was huge, endless and unsustainable. Nigerians were led to believe that the colossal payments made were solely on PMS and HHK actually consumed by Nigerians. Government ascribed the quoted figures to upsurge in international crude price, high exchange rate, smuggling, increase in population and vehicles etc. However, a large section of the population faulted the premise of the Government subsidy figures, maintaining that unbridled corruption and an inefficient and wasteful process accounted for a large part of the payments. To avert a clear and present danger of descent into lawlessness, the leadership of the House of Representatives took the bold and decisive action of convening the first ever Emergency Session on a Sunday (8th January, 2012), and set up the Ad-hoc Committee to verify the actual subsidy requirements of the country. •The actual budget expenditure on subsidy for both PMS and HHK was tolerable, being N261.1b in 2006, N278.8b in 2007 and N346.7b in 2008. 5 companies including NNPC were involved in 2006, 10 in 2007 and 19 in 2008 contrasted to 140 in 2011. •Secondly, in line with accounting practice, the Committee decided to investigate three years activities of the scheme. •The Committee could have chosen to limit the investigation to 2011 alone given the scale of escalation of subsidy in that year alone but decided to take three years to establish a trend. The Ad-Hoc Committee held Public Hearings from 16th of January, 2012 to 9th of February, 2012, taking sworn testimonies from 130 witnesses, receiving information from several volunteers, and receiving in evidence over 3,000 volumes of documents. 1. Contrary to statutory requirements and other guidelines under the Petroleum Support Fund (PSF) Scheme mandating agencies in the industry to keep reliable information data base, there seemed to be a deliberate understanding among the agencies not to do so. This lack of record keeping contributed in no small measure to the decadence and rots the Committee found in the administration of the PSF. This is evident also in the budget preparatory process by MDAs where adequate data is not made available to the National Assembly. The Committee had to resort to forensic analysis and examination of varied and external sources (including the Lloyds List Intelligence) to verify simple transactions. In this regard, the PPPRA is strongly urged to publish henceforth, the PSF accounts on quarterly basis to ensure transparency and openness of the subsidy Scheme. 3. Thus, contrary to the earlier official figure of subsidy payment of N 1.3 Trillion, the Accountant-General of the Federation put forward a figure of N1.6 Trillion, the CBN N1.7 Trillion, while the Committee established subsidy payment of N2,587.087 Trillion as at 31st December, 2011, amounting to more than 900% over the appropriated sum of N245 Billion. This figure of N2, 587.087Trillion is based on the CBN figure of N844.944b paid to NNPC, in addition to another figure of N847.942b reflected as withdrawals by NNPC from the excess crude naira account, as well as the sum of N894.201b paid as subsidy to the Marketers. The figure of N847.942b quoted above strongly suggests that NNPC might have been withdrawing from two sources especially when the double withdrawals were also reflected both in 2009 and in 2010. However, it should be noted that as at the time the public hearing was concluded, there were outstanding claims by NNPC and the Marketers in excess of N270billion as subsidy payments for 2011. Whereas the mandate of the Committee was necessitated by the removal of subsidy, the Committee found out that subsidy payment on kerosene formed an Integra part of the total sum. 6. Our investigation further revealed that certain marketers collected subsidy of over N230.184 Billion on PMS volume of 3,262,960,225 litres that from the records made available to us were not supplied. Apart from proliferation and non-designation of bank accounts for subsidy payment, PPPRA and the OAGF were unable to manage in a transparent manner the two accounts they chose to disclose. There were indications that PPPRA paid N158 Billion to itself in 2009 and N157 Billion in 2010. When confronted, the OAGF was unable to submit details of the bulk payments arrogated to PPPRA and the account from which the bulk sums were disbursed to the supposed beneficiaries. 8. In order to arrive at a probable figure of daily consumption of PMS, the Committee took the entire volume of 14,787,152,340 litres imported by marketers and NNPC in 2011 as recorded by PPPRA and then deducted what we suspected as over-invoiced volume of 3,262,960,225. Thus, the actual volume imported for year 2011 was 11,510,202,347. This manifested into an average daily PMS consumption of 31.5 million litres. 9. However, in 2012 marginal increment of 1.5 million litres a day is recommended in order to take care of unforeseen circumstances, bringing it to 33 million litres per day. And to maintain a strategic reserve, an additional average of seven (7) million litres per day(or 630million litres per Quarter) for the first quarter of 2012 only is recommended. Thus, PPPRA is to use 40 million litres of PMS in the first quarter as its maximum ordering quantity per day. In subsequent quarters PMS daily ordering quantity should be 33 million litres per day. For Kerosene, the Committee recommends a daily ordering quantity of 9 million litres. It is only AGO whose average daily consumption of 12 million Litres per day will not be achieved in full. Since AGO has been deregulated, other marketers can make up for the 3.03 MLPD AGO shortfalls. The implication of this finding is that if NNPC properly manages the allocation of 445 bpd efficiently, the availability of the products can be achieved by the NNPC alone. This contrasts the situation where in 2009-2011 NNPC got the daily allocation of 445,000bpd and the nation still had to import through Marketers. i. In 2009, there was an over-recovery of N2.766 Billion. This was expected to have been credited to the PSF Account but was not traceable to the official PSF Account disclosed, ii. Furthermore, in the presentation made by Akintola Williams Deloitte it was claimed that the sum of NGN5.27Billion was established as over-recovery in 2009, however, there was no evidence that this money was credited to the PSF Account. iv. The Over recoveries of N2.766b and N5.27b which were not accounted for by the office of the Accountant General of the Federation, v. The cases of double deductions by the NNPC for subsidy payments in 2009,2010 and 2011 mentioned in this Report. Based on the facts, issues and investigative interactions, the Committee hereby makes the following recommendations for the consideration and approval of the House. 1. From the findings of this Committee the consumption level for 2011 is estimated at 31.5 million litres per day. However, in 2012 marginal increment of 1.5 million litres a day is recommended in order to take care of unforeseen circumstances, bringing it to 33 million litres per day. And to maintain a strategic reserve, an additional average of seven (7) million litres per day (or 630million litres per Quarter) for the first quarter of 2012 only is recommended. Thus, PPPRA is to use 40 million litres of PMS in the first quarter as its maximum ordering quantity per day. In subsequent quarters PMS daily ordering quantity should be 33 million litres per day. For Kerosene, the Committee recommends a daily ordering quantity of 9 million litres. 2. With regards to the 445,000bpd allocation to NNPC to refine for local consumption, the Committee established that the allocation is sufficient to provide the nation with forty million litres per day for PMS and Ten million litres of HHK. 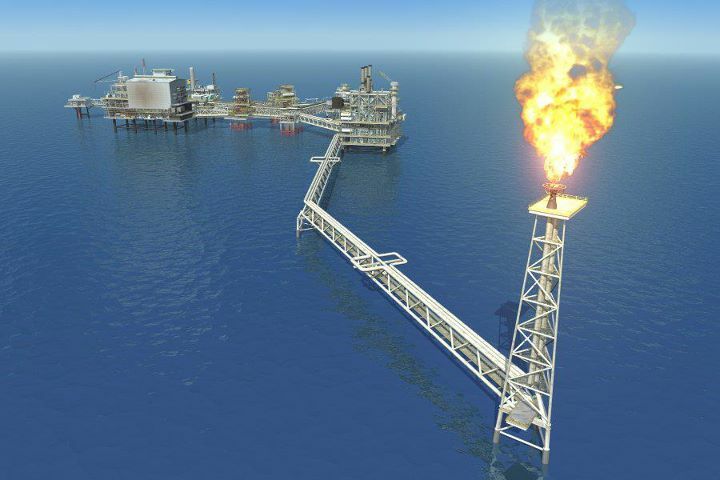 • Outright sale of the 445,000bpd and or partial sale of the excess from the local refining capacity of 53%. Therefore there is no reason for government to grant subsidy importation to any other marketer. Even though we have quoted 40 million litres as a liberal figure, in the course of monitoring the implementation of the subsidy regime the actual daily consumption will then be determined. 3. The NNPC should refund to the Federation Account, the sum of N310,414,963,613 (Three hundred and ten billion, four hundred and fourteen million, nine hundred and sixty three thousand, six hundred and thirteen naira only) paid to it illegally as subsidy for kerosene contrary to the Presidential Directive of July 29th, 2009 withdrawing subsidy on the product. 4. The Committee recommends that the NNPC should be unbundled to make its operations more efficient and transparent, and this we believe can also be achieved through the passage of a well drafted and comprehensive Petroleum Industry Bill. The Committee therefore urges the speedy drafting and submission of the bill to the National Assembly. 5. The Committee wishes to recommend that the House do direct for the auditing of the NNPC to determine its solvency. This was as a result of plethora of claims of indebtedness and demands for payments by NNPC’s debtors which, if not well handled, will not only affect the entire economy of Nigeria, but also the supply and distribution of petroleum products. 6. The House should direct the NNPC to stop any form of deduction not captured in the Appropriation Act before remittance to the Federation Accounts, and the Corporation should submit its transactions to the operational Guidelines of the Subsidy Scheme. 7. NNPC Retail, Independent Petroleum Marketers Association of Nigeria (IPMAN) and Major Oil Marketers Association of Nigeria (MOMAN) should be the outlets for the distribution of Kerosene to ensure availability and affordability of the product to Nigerians. 8. The NNPC should also refund to the Federation Account the sum of NGN285.098Billion being over-deductions as against PPPRA approvals for 2011. The Relevant Anti- Corruption Agencies should further investigate the Corporation for deductions for the years 2009 and 2010. 9. As postulated earlier in this report, data provided by NNPC and CBN tends to suggest that for 2009, 2010, and 2011, NNPC deducted subsidy payments from two different accounts. It is the recommendation of this Committee that Relevant Anti- Corruption Agencies conduct thorough investigations into this matter and where it is established that double withdrawals were made, the extra amounts should be paid back to the Treasury and those involved prosecuted. 11. The relevant Anti- Corruption Agencies should carry out a due-diligence investigation to determine the total demurrage payments and outstanding incurred by NNPC for the period 2009 -2011. 12. Under the PSF Scheme, importers especially NNPC should be mandated to patronize Nigerian Flagged vessels provided they produce the standard safety and sea-worthiness certificates in tune with international best practices. 13. All the payments which the PPPRA made to itself from the PSF account in excess of the approved administrative charges which were due to it under the Template should be recovered and paid back into the Fund. The officials involved in this infraction should be further investigated/prosecuted by the relevant Anti- Corruption Agencies. These confirmed illegal payments were the sum of NGN156.455Biilion in 2009, and the sum of NGN155.824Billion in 2010, a total sum of NGN312,279Billion. b. verification, confirmation and payment for imported products by Importers and NNPC should be investigated/prosecuted by Anti- Corruption Agencies for negligence, collusion and fraud. 15. The Executive Secretaries of the PPPRA who were the accounting officers, and under whose watch these abuses were perpetrated that led to the Government losing billions of naira, should be held liable. Therefore, we strongly recommend that those who served as Executive Secretaries of PPPRA from January 2009 to October 2011 should be further investigated/prosecuted by relevant Anti- Corruption Agencies. This should also include GM Field Services, ACDO/Supervisor-Ullage Team 1, and ACDO/Supervisor-Ullage Team 2 within the same period, for their roles in the management of the ullaging under the subsidy scheme. 16. The Chairman of the Board of PPPRA from 2009 – 2011, and the entire Members of the board during the period are hereby reprimanded and their decision which opened the floodgate for the Bazaar is condemned in the strongest terms. 17. It is hereby recommended that Mr President should reorganize the Ministry of Petroleum Resources to make it more effective in carrying out the much needed reforms in the oil and gas sector. 18. Given the large and complex nature of the Ministry of Petroleum Resources, the Committee recommends that two ministers should be appointed to take charge of the upstream and downstream. 19. The current template being used by PPPRA in computing and paying PSF is full of in-built prices for wastages and inefficiencies (eg. Lightering exercise, demurrage) that could be plugged to save the Nation’s scarce resources. We therefore recommend the revision of the template. 21. The PPPRA should provide the Nigerian Navy and NIMASA advance copies of allocation and vessel arrival notification documents to enable the Navy monitor, track and interdict vessels seeking to avoid Naval certification. Companies before their formal registration with PPPRA testify to this. Companies that lack the required competence and expertise to import petroleum products and even those who did not meet up with the agreed standards were also awarded large chunks of the allocation, an act that culminated in huge loss of resources to the nation. Many Companies under his watch who had neither depots nor through-put agreement were allowed to participate in the Scheme contrary to the revised eligibility guidelines. 23. The practice whereby PPPRA as a regulator in the petroleum downstream sector being supervised by the Ministry of Petroleum Resources whose Minister is the Chairman of the Board of NNPC (a major importer/participant in the PSF scheme) negates the principles of checks and balances and international best practices. The Committee therefore recommends that the regulatory capacity of PPPRA be strengthened and the National Assembly should commence the process of amending the Act to make the Agency autonomous. 24. The PPPRA should, within two weeks of the adoption of this Report, conduct a performance assessment of ALL Companies involved in the PSF scheme and publish such reports. 25. The Committee is firm in its view that if any petroleum product is deserving of subsidy, HHK should enjoy a pride of place. It therefore recommends the immediate reinstatement of subsidy for Kerosene not later than second quarter, 2012 at pump price of N50 per Litre. 26. The Committee recommends that the sum of NGN557.70Billion should be provided for as Subsidy in the 2012 Appropriation Act, while the sum of N249.006B should be provided as subsidy for HHK (Kerosene). Evidently, 445,000 bpd allocation to NNPC is sufficient to provide the nation with 40 MLPD PMS, 10 MLPD HHK, 8.97 MLPD AGO, 0.62 MLPD LPG and 2.31 MLPD of FO at the current NNPC refining capacity of 53%. It is only AGO that daily consumption in full could not be achieved. Since AGO has been deregulated, other marketers can make up for the 3.03 MLPD shortfalls. 27. The Committee recommends that FIRS should follow up on the companies listed earlier to pay their taxes with due penalties in line with the provisions of the Companies Income Tax Act. 28. The PSF Guidelines should be revised to make Tax compliance a mandatory pre-qualification requirement for all participants under the Scheme. 6 ZENON PET & GAS LTD.
31. Payments for PMS with effect from the second quarter of 2012 should be based on certified truck outs at depots confirmed at the retail outlets and no longer on discharges from vessels into tank farms. Consumption should be defined in a way to exclude what is imported but only what is put in the tank. 32. The markets of opportunity situated within Nigerian territorial waters which are designated “offshore Cotonou” or “offshore Lome” to qualify for FOREX payment and to evade payment of appropriate levies, dues and taxes to the Nigerian government should be discontinued forthwith. 33. A Marine Transportation System should be put in place that is safe, secure, reliable, cost effective and efficient to reduce the present high cost of doing business in Nigeria. 34. Any importation without permit or where the difference is above approved quota should not be entitled to any amount on the Template. 35. It is strongly recommended that Marketers without storage facilities and retail outlets should be excluded from participating in the PFS Scheme as this will end the bazaar that constituted a serious drain on the nation’s economy and created room for abuses. 36. The services of the accounting firm of Akintola Williams, Deloitte and Olusola Adekanola & Partners should be discontinued with immediate effect for professional incompetence on this particular assignment. 37. In view of the above the 2 firms should be blacklisted from being engaged by any Federal Ministry, Department or Agency (MDA’s) for a period of three years. 38. This Ad-Hoc Committee shall in its monitoring stage conduct extensive and thorough investigation into the operations of the PEF(MB) in order to ascertain the management of the bridging funds under the subsidy regime. 39. Penalties should also be indicated for non-compliance and promptly imposed to ensure the smooth operation of the Scheme. 40. The Nigerian Ports Authority (NPA) should be encouraged within a time frame to improve on the draught level of the Nigerian waters to encourage the berthing of ALL types of vessels so as to eliminate the present ship-to-ship (STS) transfers by importers of petroleum products. 41. All those in the Federal Ministry of Finance, Office of the Director-General Budget, and the Office of the Accountant General of the Federation involved in the extra budgetary expenditure under the PSF Scheme (2009-2011) should be sanctioned in accordance with the Civil Service Rules and the Code of Conduct Bureau. 42. The payment of N999,000,000 in 128times within 24hrs (12th& 13th January, 2009) by the Office of the Accountant -General of the Federation should be further investigated by relevant Anti-Corruption Agencies. 43. The National Assembly should enact an Act to criminalise extra budgetary expenditure. 44. CBN and the Federal Ministry of Finance should critically examine and review the policy guiding payment for importation of petroleum products to avoid the current fraudulent system that allows importers to bring in products from off-shore “Lome” or “Cotonou” to qualify for forex payments. 45. The Committee notes that several alarms were raised by the CBN on the escalation of subsidy figures but these early warning signals were ignored by relevant agencies. The Committee wishes to encourage whistle -blowing by regulatory agencies on threats to the economy with the hope that proactive measures could be taken. 46. The Committee recommends that the PPMC Management be overhauled. In furtherance to above recommendations of the committee, institutional mechanisms be urgently developed to ensure the monitoring of actual delivery of kerosene to the Nigerian masses. 47. The PPMC should deploy modern state-of-the-art devices to protect its facilities and pipelines to eliminate wastages arising from vandalism. In the short-term however, PPMC should establish a surveillance system which should incorporate Community-protection and using part of the bridging funds on the PSF Template to finance this. 48. All the extant circulars preventing the Nigeria Customs Service from carrying out its statutory functions be immediately withdrawn by the Central Bank of Nigeria and the Federal Ministry of Finance. 50. The failure of NPA to provide this Committee the vital vessel data particularly the IMO numbers is an indication that either NPA has a very poor record keeping system or that it was a deliberate ploy to cover up the collusion between its officials and importers. We recommend an investigation into the operations and activities of this Authority. 51. The port operations of the Nigerian Ports Authority be investigated with a view to determining the extent to which its officials are complicit in the classification of maritime areas for reception of Nigerian bound petroleum products as “offshore Cotonou” and “offshore Lome” in the face of evidence that these Vessels never did lighter at those Ports. 52. In the course of this investigation, a lot of efforts were made to establish cases of round tripping and diversion of products, including the use of the data from Llyods List Intelligence resulting in the cases so far reported. However given the scale of connivance and collusion by government officials involved in the certification process, the Committee believes that further investigation will reveal more cases. It is therefore recommended that all the data obtained in the course of this investigation, especially from the Llyods List Intelligence be forwarded to the relevant anti-corruption agencies for a more detailed investigation. 53. The present Management of PEF (M)B should be overhauled and the Board when constituted should comprise of persons of impeccable integrity who should be knowledgeable in aspects of its mandate. This is without prejudice to the coming into force of the Petroleum Industry Act. 54. PEF(M)B should establish a tracking system on all trucks from point of loading to point of discharge (retail outlets) and direct that all trucks involved with transportation of products should install approved tracking devices on them. 55. It is hereby recommended that the regulatory capacity of the DPR be strengthened. The National Assembly should commence the process of amending the Act to make the Agency autonomous. 56. The DPR should take immediate steps to bring all facilities and depot owners into compliance with international best practices by ensuring the installation of modern metering gadgets and sealable and non-return valves, to eliminate the rampant cases of round-tripping. 57. The DPR should brace up to its role of Regulation and compel the NNPC/PPMC to comply with all the regulations issued to ensure transparency and accountability. 58. In order to reduce and gradually eliminate lightering, associated inefficiency and cost, Government should invest in the provision of Single Point Mooring (SPM’s). This provision should be followed up by instituting Regulations to compel Owners of Jetties, depots and storage facility owners to develop pipeline throughput availability to facilitate direct delivery of imported products by heavy vessels, in-shore Nigeria. 59. There should be a deliberate policy by Government to encourage the utilization of gas in automobile, domestic (cooking), and industrial facilities. 60. As a matter of urgency and in furtherance of our national security requirements, a national strategic reserve should be immediately enhanced so to accommodate 90days stop gap strategic reserve. 61. We strongly recommend that relevant Standing Committees of the National Assembly should be more proactive in their oversight responsibilities to forestall future occurrences. PreviousPrevious post:SUBSIDY PROBE REPORT: DON’T SIT ON THE FENCE. ACT!NextNext post:URGENT ACTION!….SACK Justice Marcel Awokulehin NOW!!! Eky, we will also publish petition on website. Thanks for consenting.